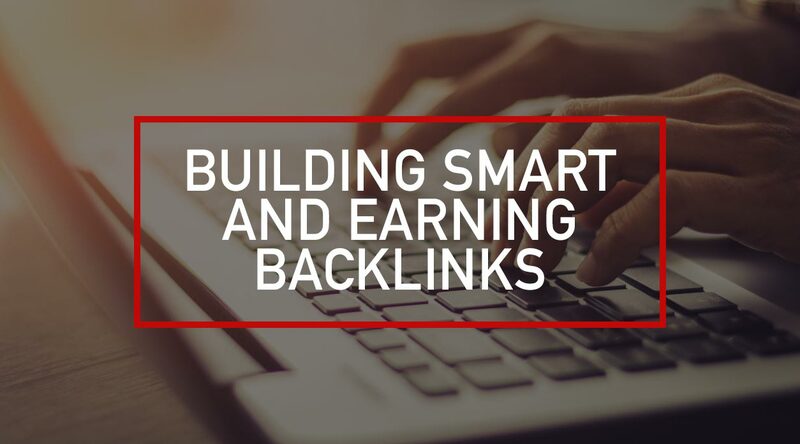 Building backlinks is an important element of your SEO strategy that requires getting links from other websites in order to improve your ranking on the internet. Google looks at your website’s backlinks as part of their ranking factors since they are meant to help build the trustworthiness of a site. The more quality backlinks you have to your site, the more trustworthy your site appears to Google. 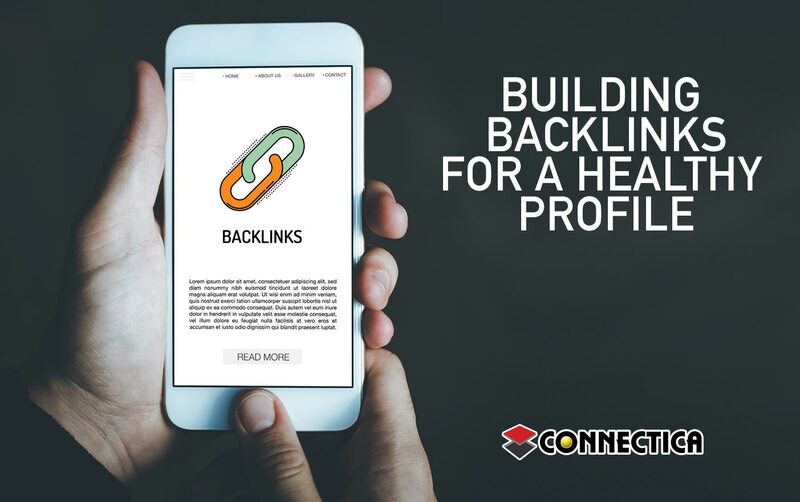 However, some backlinks actually do the opposite and can damage your rankings so it is important to focus on quality over quantity and have a variety of backlink and citation types. Relevance: Search engines want to provide relevant search results to the user so it makes sense that this is important. Search engines rate relevance according to the overall relevance of the linking site, the specific page with the link on it, and how relevant the content surrounding the backlink is to the page it links to. Trusted Source: Most of your backlinks should come from high-quality websites that are also trustworthy. Sites with authoritative content that are hard to gain links from are generally seen as higher-quality (news sites or sites ending in .edu or .gov for example). Check the domain and page authority of sites you would like to get links from to ensure quality. You can easily google tools that allow you to plug in a URL and get info regarding the authority score. I stress variety here since some sites may be high in relevance and have great potential to produce quality leads though may have a low authority score with search engines. Creates Traffic: Having a link in a prominent position on a website that gets a lot of visits will create a constant stream of targeted visitors to your site. Links should not just be in the background for SEO (though they do help with rankings). They should also help drive traffic to your site and provide quality leads towards your ROI. Having a link in a prominent position generally costs money so you want to do some research to ensure you get the quality leads you are after. Optimize your listings where you can to help generate traffic by adding images and a description, paying attention to reviews, etc. – make your listing stand out. Backlinks Through Infographics: Because the majority of audiences’ appeal to visual data, infographics bring traffic to your websites and allow you to build backlinks. Make sure that your infographic is unique and interesting. Distribute your infographic once it’s published to people who have shown interest in infographics through social media or having previously linked to other infographics. There are also infographic sites you can use to distribute through as well. Guest Articles: This is a great technique which will allow you to reach new audiences. Publishing articles on popular websites means you get exposure from new readers which creates more readers on your pages and increases your online reputation. Awareness of your Competitors: Stay up to date with your competitors and their online marketing strategies. Keep track of their link building techniques and how they are earning links as well as their content marketing methods. Building Internal Links: Good internal links will help readers navigate through the pages of your website and improve their experience on your site. Directories: People still use directories to find information – linking to sites that have real traffic and a wide audience will help you because of referral traffic. Don’t solely focus on directories, though including them in your strategy is a good idea. I generally focus on directories that are well-known as well as some that may be industry specific. If a directory or site looks spammy, don’t try to get a link. If you think it seems spammy, chances are Google may see it as spammy as well. Broken Link Building: Dead links pointing towards your competitor’s websites that are relevant to your audience could provide your website with potential as you may be able to get the website owner to swap out the dead link to your competitor’s site for a link to your site. Remember that there needs to be a good reason why the site owner should swap out your competitor’s link for yours – not just because it’s broken. Make sure that the content on the page with the broken link has updated content and that the website in general is regularly updated and that there are no other broken links on the page. Sites that are regularly updated and have very few broken links tend to be more trustworthy and rank higher in Google. Those are the sites you want your links on. Create meaningful content that people will want to share, engage in and link to. You can share this content to social media as well to help promote it. We have our article/blog posts set up to post to social media at the same time they are published on the websites. This helps your content gain exposure to more people who may want to further help promote it if they are interested enough. Watch the web for sites that mention you without including a link to your website. You can set up alerts with Google. They send a notification when they see you are mentioned on a site. You can then check the site to make sure it is you the site is referring to and to see if a link is included back to your site. If a link is not included, you can reach out to the site that mentioned you and ask for a link to be included. Make contact with site owners directly when asking them to link to you instead of sending out a bulk mail to everyone you can think of. Emailing site owners to ask for a link is similar to telemarketers calling to sell you something. Most site owners are annoyed by the process and ignore the constant emails they receive. So how do you get the link? Be creative. Build a relationship by actually engaging in their site and mentioning relevant articles you found interesting, etc. Keep the email personable. DO NOT USE A TEMPLATE. Templates are too obvious and will get your request ignored. Be consistent with your keywords and links by using them in press releases and submitting them to sites that cover news from press releases. The republishing will include your links and gain you exposure. Press releases also help with quality links as they are picked up by news sites. Just be sure your press release is newsworthy. Though this can be included in your strategy – use it sparingly or as news comes available about your business or industry. Don’t pay for links from sites that aren’t straightforward and ‘clean’. Google will notice if you’re cheating and could penalize your site. Especially be wary of people advertising cheap links. They are generally going after low quality sites that will have no relevance to your site and may also contain questionable content. Don’t trade quality for quantity. A few good links from credible and relevant sites is better than many links from low valued sites that are unrelated. Don’t make use of link exchanges and links wheels. The value provided by these schemes are short-lived and will affect your ranking permanently. Don’t leave generic or spam-like comments on blogs and forums. Leaving genuine and legitimate comments will drive traffic to your site whereas the latter will be useless. Many forums have moderators monitoring the comments left on the sites to ensure value is added to the thread. If you leave spammy comments, you may be penalized from the forum and unable to post. Keep your strategy clean. Building backlinks through questionable techniques will get your site penalized. It may take time for Google to notice but once they do, they will penalize you and it will take even longer to gain back those rankings. Google is constantly updating their algorithm which means some techniques that may be in the questionable area now can become a penalizing technique without any notice. Keeping your strategy clean ensures that you have less to worry about when Google updates their algorithms. I am very much a fan of variety when it comes to your link profile. Not just a variety of sites, but also authority. High authority is good, but some directories may have low authoritative scores yet may still be good for a listing – this is especially true for niche sites. If the niche site is relevant to your business (directories aimed at industries), it will still be a good link. 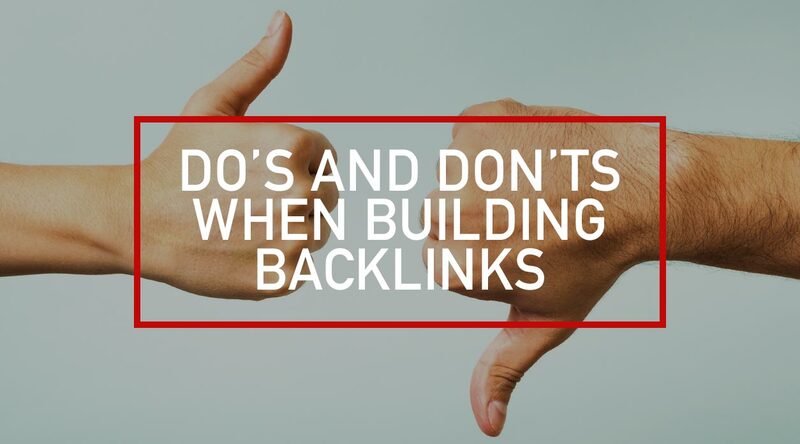 You do not want to focus on just one backlink area or style. Develop a strategy that includes multiple types of backlinks. I generally start with directory or review sites like yellowpages.com and yelp, then move on to the harder to get links like guest posting on an authoritative site. This way you have some links already helping your site while you try to earn the higher authority links which will take a lot of time and effort as they are hard to get. Connectica is a digital marketing company that specializes in SEO – if you have any questions regarding Backlinking or SEO feel free to contact us and we can do a SEO analysis on your website and discuss the results with you.